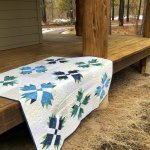 Using Quiltsmart's BearLeaf interfacing, you will glide through making Bear Paw blocks! 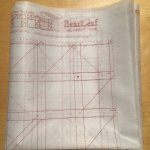 METHOD: "Lop & Fuse" - Just place and fuse 2.5" squares on the marked sections of interfacing, stitch on the lines, and press open. When you sew the seams on the solid lines printed on the interfacing, you will get beautiful points, without ever fussing with triangles! It's all squares! Easy, fast, and smart! The small blocks finish at 6", and when you sew 4 together and add lattice and background they finish at 20". Each 20" Bear Paw block is made of 4 paws. Comes in a 9" x 12" pack with 8 panels of interfacing & instructions to make the 4 layouts shown or create your own layout. Wall OR Bed Runner - 2 panels, Twin - 6 panels, Queen - 8 panels. 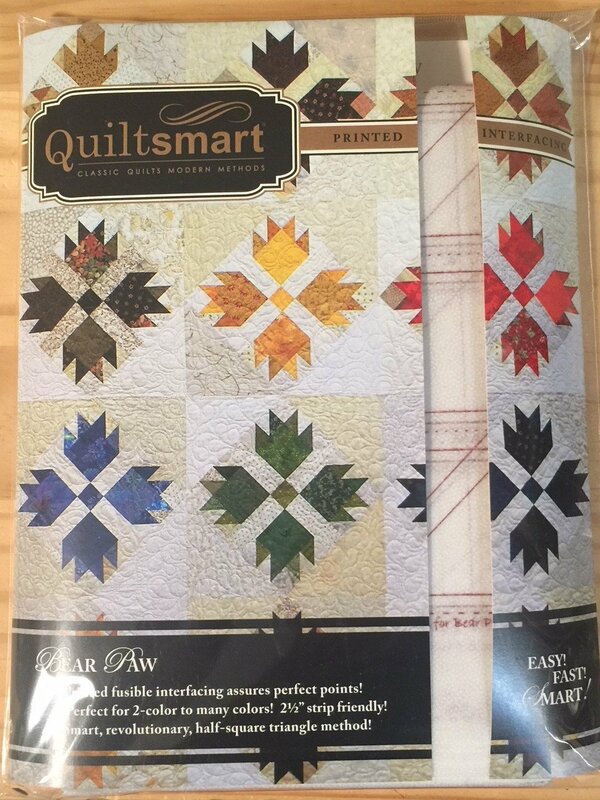 VARIATIONS: Great for 2.5" strips for a scrappy look! The "pad" is 4.5" though you could use a 5" charm square and trim it later. 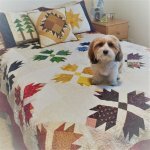 The little wallhanging, in our images to the left, (oranges and reds with bear) shows how you can use this as a border, and features our ZigZapps Up North design for the bear and trees. PEEK DOWN (Scroll) under the VIDEO to see SUGGESTED PRODUCTS (you will want the Lop & Fuse template! ).